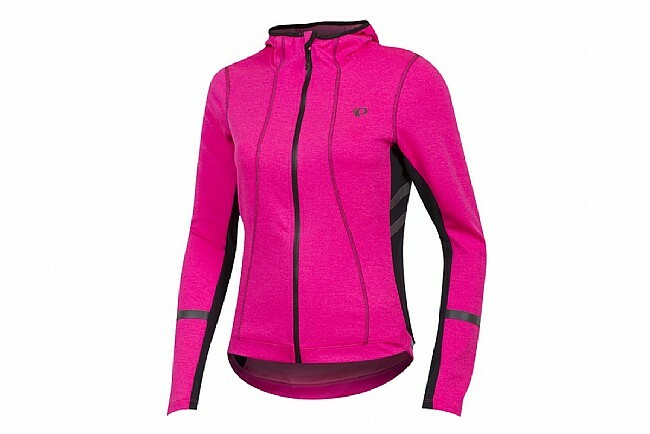 It's often remarked that Pearl Izumi's ELITE Thermal fabric performs so well and feels so terrific that it would be great in a garment that works both on and off the bike. 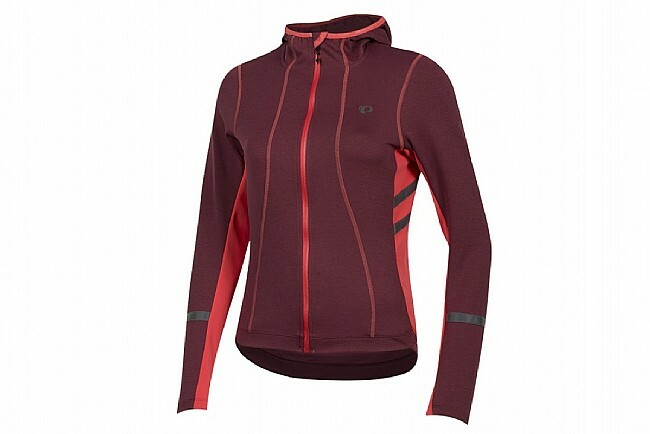 Well they've made one with their Women's Escape Thermal Hoody, made with a stylish heathered finish for technical insulation that looks as good as it performs, plus a helmet-compatible hood with ponytail outlet that keeps you warm when you're riding the road or just hitting the shops. Available in multiple colors. Full-length zipper. 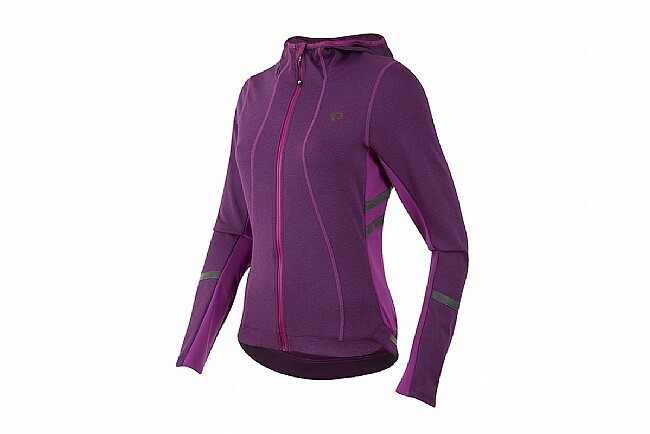 Features zippered rear pockets and reflective elements for increased visibility. You will be satisfied with this great buy! I'm a loyal frequent Pearl Izumi customer. I use this product not only when on my biking moments but because of its versatility & good look, I wear it even on ordinary days & even in office Fridays. You will look very chic & presentable. Soft material makes for great comfort. Allows layering under and over. 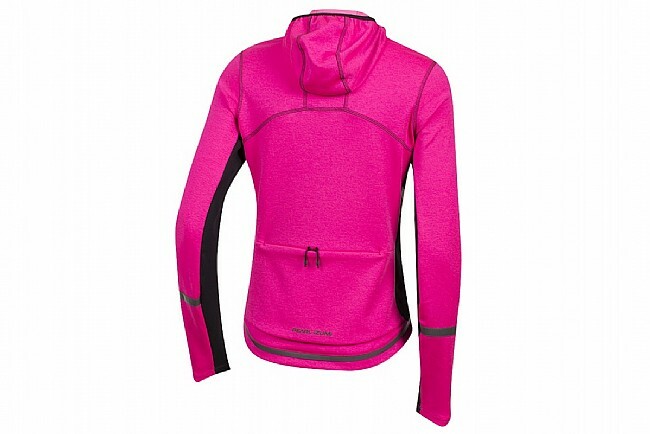 The proportions of the hoodie are ideal for riding, long enough in the back and good sleeve length. The hood is also good for wearing on cold mornings under a helmet. The fit and color are stylish enough to wear about town. 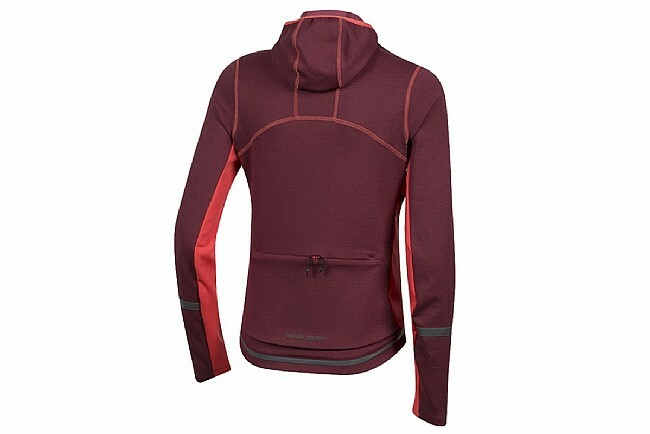 Also a good garment for running or hiking.